I have an older picture for you today! This is probably the manicure that made me realize "wow, I am good at this!" I used 3 Sally Hansen Xtreme Wear polishes - Power Pink, Mellow Yellow, and Sun Kissed. 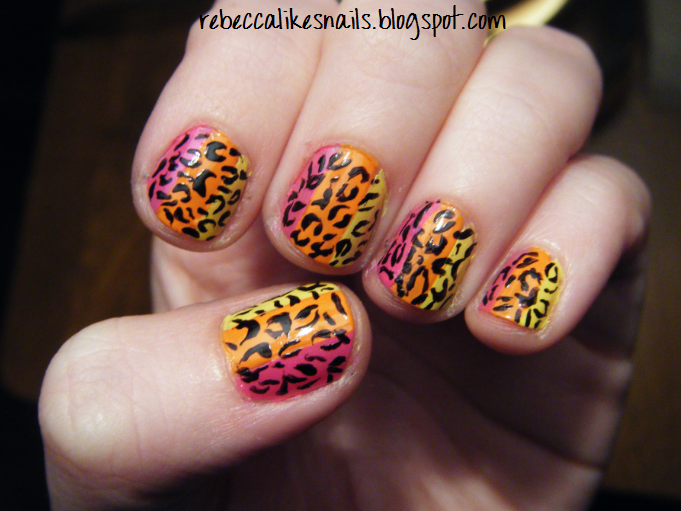 Then I did the leopard with LA Colors Art Deco Black. One exam down, 3 to go, plus lots of assignments. After I'm done everything (the 24th), I promise to have some special posts!